Kelp gathered from the shores of Nova Scotia meets the invigorating scent of rosemary! Seaweed soap delivers a fresh, cool scent like the crisp ocean air at dawn with gentle exfoliation. Rosemary oil tames natural oils, making it a great choice for oily skin. 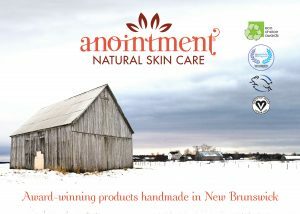 I use Anointment’s oatmeal and honey soap followed by baby oil to remove makeup. I don’t know how I managed before I discovered that system.